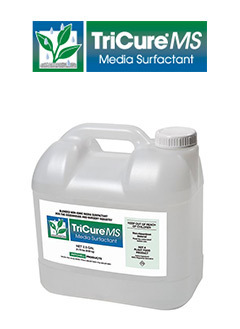 TriCure MS (media surfactant) is a biodegradable, non-toxic wetting agent designed to treat hydrophobic components of growing media and improve water use efficiency in the greenhouse and nursery industry. Presence of TriCureMS in the media helps achieve uniform distribution of moisture while wetting and in subsequent irrigations. Treating peat and bark with TriCure MS provides immediate absorption of water by the media, with uniform moisture distribution and improved water holding capacity. Proactin® is a registered trademark of ViTech Enterprises Inc.
© 1998-2019 Mitchell Products, LLC. All rights reserved.